We at Iles and Jenkin know the most important aspect of Estate Agency and that is who our client is. That is you, our vendor. Everything we do is focussed on making sure you get the best possible price for your home, to the buyer in the best situation in a time scale that will work best for you. Why choose Iles and Jenkin to market your home. First of all after you have contacted us, we will arrange to visit you in your home to carry out a Market Appraisal of the property. We will need some information with regard to the size and type of home you have and we will then be able to meet with you and discuss where your property fits within the current market value wise. We can discuss any changes that you may be thinking of making and also suggest possible minor changes that can sometimes add considerably to the saleability of your home. We will confirm all of this in writing and liaise with you to create a professional set of properties after you have given us the go-ahead to market your property. We will visit and produce a floorplan and brief description of your home. We are able to instruct a professional photographer if you wish and then we outsource the printing of these details in order that your home is presented on the professional quality card, helping your home to stand out from the competition. Your home will be presented online via our own website www.ilesandjenkin.com as well as the market leading www.Rightmove.co.uk and www.Onthemarket.com as well as other affiliated websites. We will also advertise in the Weston Mercury and The Bristol Property Live newspaper, ensuring your home is presented to the biggest possible audience of potential house buyers. We will also present your home in our highly visibly Worle High Street office window as well as contacting our large number of registered buyers to persuade them to view your home. This is the most important part of the sale process in regard to gaining an offer for you to consider. We will accompany all viewings and show your home in its most positive light. All of our negotiators are trained in the most effective ways of viewing a home and are most definitely there to ‘sell’ the property and all of its most positive aspects, not just point out the light switches! We will give you feedback from that viewing as soon as we have it and no later than the next working day. Ideally this feedback will come with an offer, but if there is constructive criticism that can be used to improve the opportunities to sell your home, we will always give you honest and effective feedback. All offers will be passed over to you as quickly as possible. We will give you our opinion as to the nature of that offer, if we think it is sensible or if we believe a higher offer should be held out for. We always remember however that we are working for you and will advise you accordingly. We do not try and twist your arm to take the first offer that comes along just so we make a quick sale, we will, however, give you good honest feedback as to whether that first offer does represent fair market value or not. Once we have an agreed sale in principle, we will check that the offer is substantiated by talking with agents in the chain if necessary, financial advisors if there is a mortgage involved and will require proof of funds if it is a cash purchase. This will help us to ensure that the sale has the greatest probability of moving forward in a timely manner. We will send confirmation letters to all arties concerned, including the solicitors in order to start the sale process as quickly as possible. 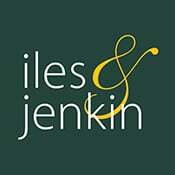 Here at Iles and Jenkin we fully understand that agreeing the sale is probably less than half of our job. Once solicitors are instructed, we have a dedicated sales progressor who will ensure that the solicitors have all of the information they need to move the conveyancing process through, ensure there are no unnecessary hold ups and will liaise with all parties to keep them updated on progress and ensure there are no miscommunications. In our experience, this can be the difference between a happy sale and a sale not proceeding to completion due to the process taking too long, missing information or sometimes just a lack of communication. We, unfortunately, can not guarantee and agreed sale will complete, but we can promise you that we will move heaven and earth to ensure it does. Once your solicitor has agreed a date for completion and ensured everything is in place with your move, they will exchange contracts with the purchasing solicitor, which now makes the sale legally binding. This exchange will normally have an agreed completion date, meaning that you can confirm removal companies and start the process of informing utilities and redirecting post. We will hold your keys until we have confirmation from your solicitor that the sale has completed and you have informed us that you have moved out (This normally needs to be achieved by around 12 noon.) Once we have this confirmation we will release the keys to your buyer and liaise with you the full way through this process.